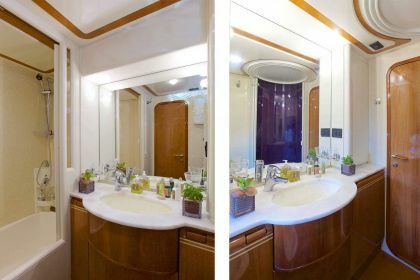 Geepee provides absolute comfort in combination with a luxurious style and with maximum privacy. 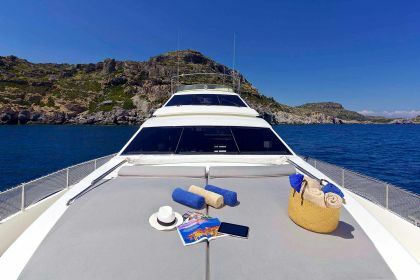 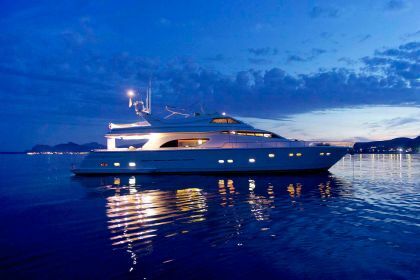 The numerous deck areas will lure you to stay outside to dine al fresco under the stars, to enjoy the many water toys or to just relax in the sun. 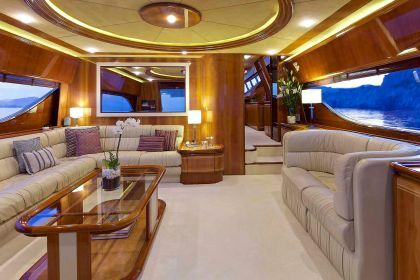 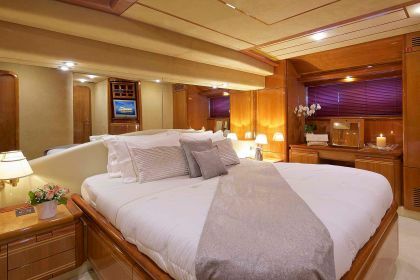 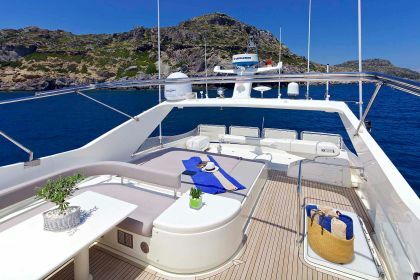 The interiors of the yacht have a unique charm thanks to the wealth of details. 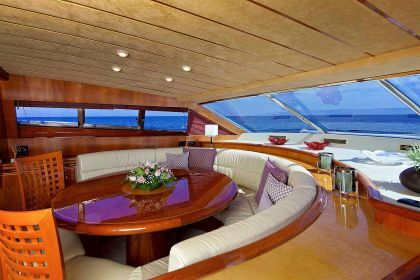 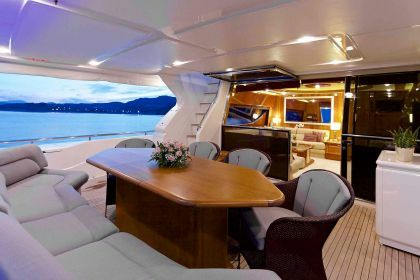 The lounge is completely separated from the dining area, located on the bow side.The four cabins are exceptionally spacious. 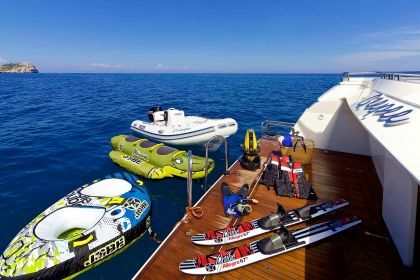 4.00m Lomac - Suzuki 50hp outboard, Jet ski, Water skis (adult), Banana, Tube (2 seater), Inflatable Kayak, Two Electric bicycles, SeaDoo scooters, Fishing lines, Snorkeling gear. 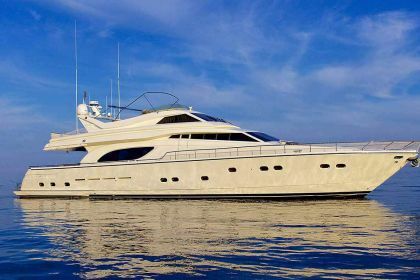 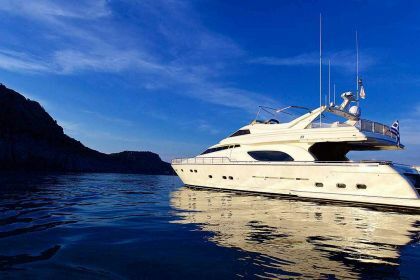 Saloon - 42" Sony Sat/LCD/DVD/HiFi Surround System, Master and VIP -26" Sat/LCD/DVD/HiFi, Twins - 22" LCD/CD/HiFi, GSM Phone + Fax, Sat Phone, Two VHF, Laptop - Wifi internet - printer, GPS Ploter Raymarine, Radar Furuno, Intercom Raytheon.